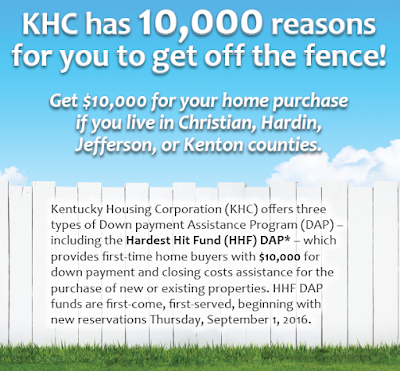 The $15,000 Down payment assistance grant from KHC has been depleted. 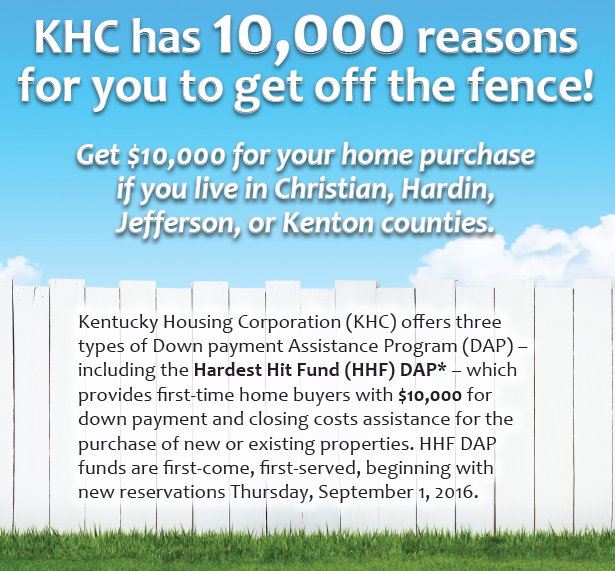 However there are two down payment assistance programs still available for Kentucky Home Buyers. of the first mortgage and HHF DAP Reservations. 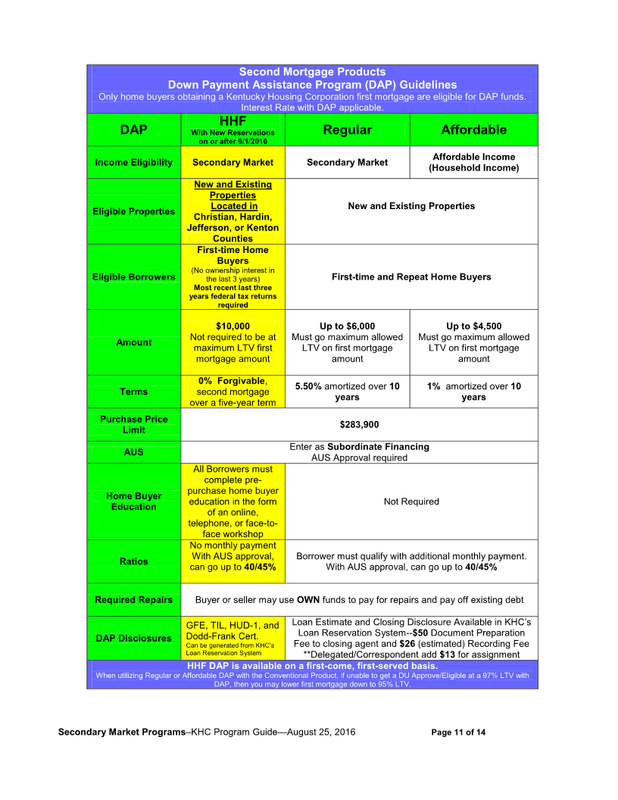 • Secondary Market Purchase Price and Income Limits apply. 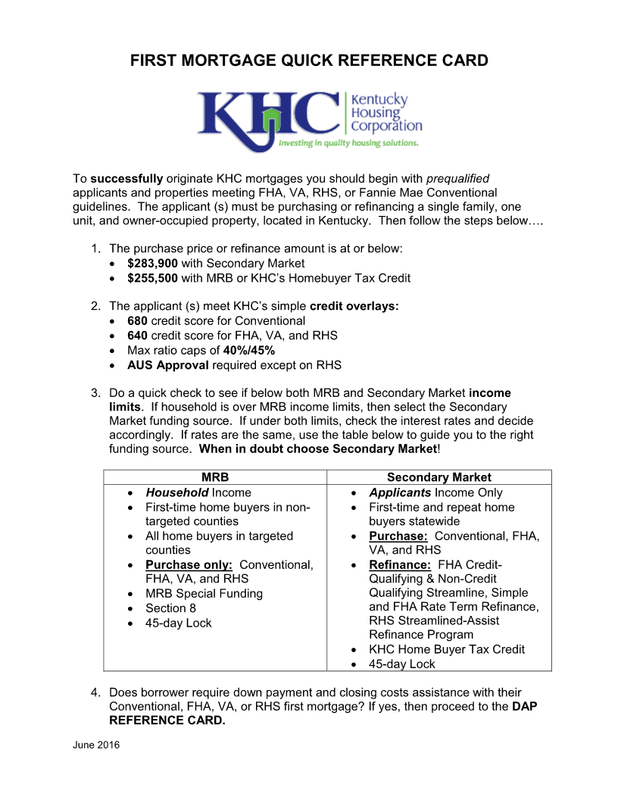 There are two main down payment assistance programs for Kentucky First Time Home Buyers that are always available for 2016 Kentucky Home Buyers in every county of the state of Kentucky. This is usually around all year long! Cannot currently own a home. You can have owned a home in the last 3 years but you must sell your current home to use this again. The income limitations listed above are imposed by state law.